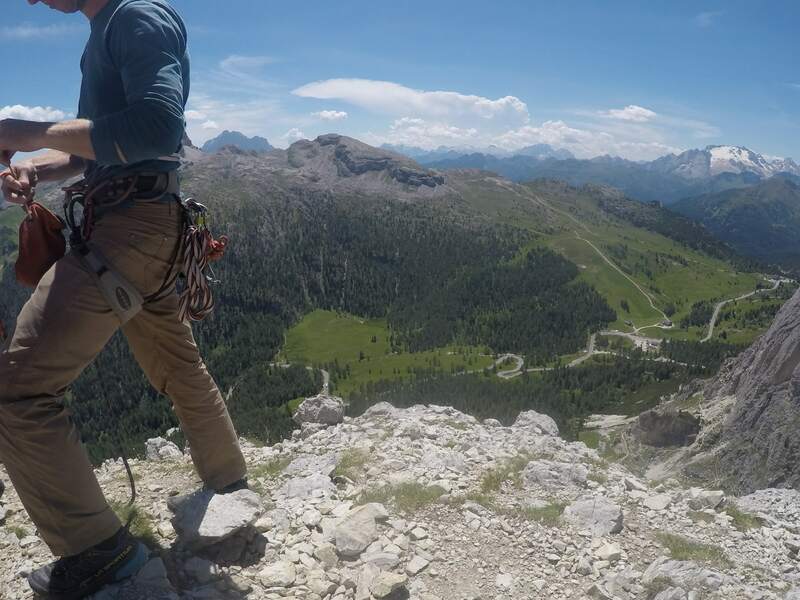 12 Officer Cadets (OCdts) from Oxford University Officer Training Corps (OUOTC), split into two phases, travelled to the Dolomites for an action-packed multi-pitch climbing package. 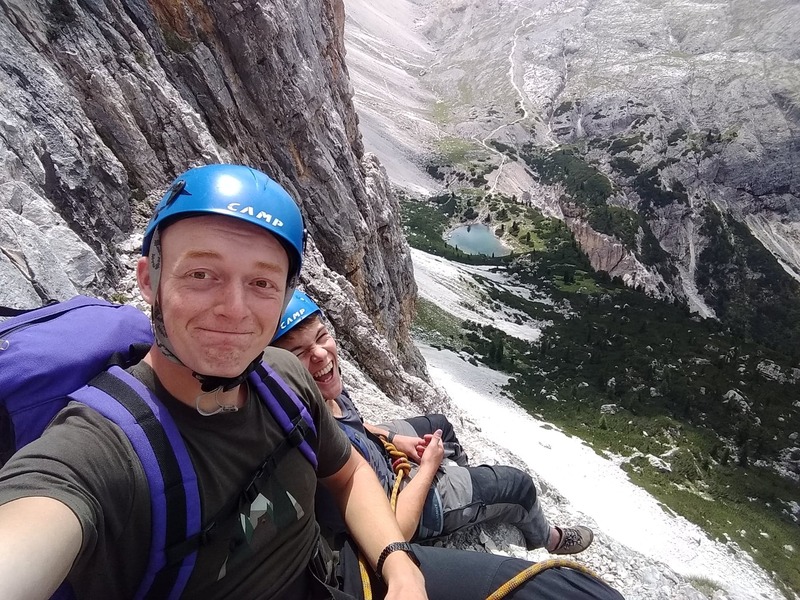 The main aim of the expedition was to challenge the OCdts in a high-pressure environment and develop their climbing skills on some of the best routes in Europe. After packing the van, phase one left Oxford on the 13th of July for a seamless journey to Italy. However, at midnight in France the van decided to go no further and proceeded to leak coolant over a French motorway. The breakdown services were called and the OCdts piled into a hastily arranged hotel in Saint Quentin, eager to continue the journey. 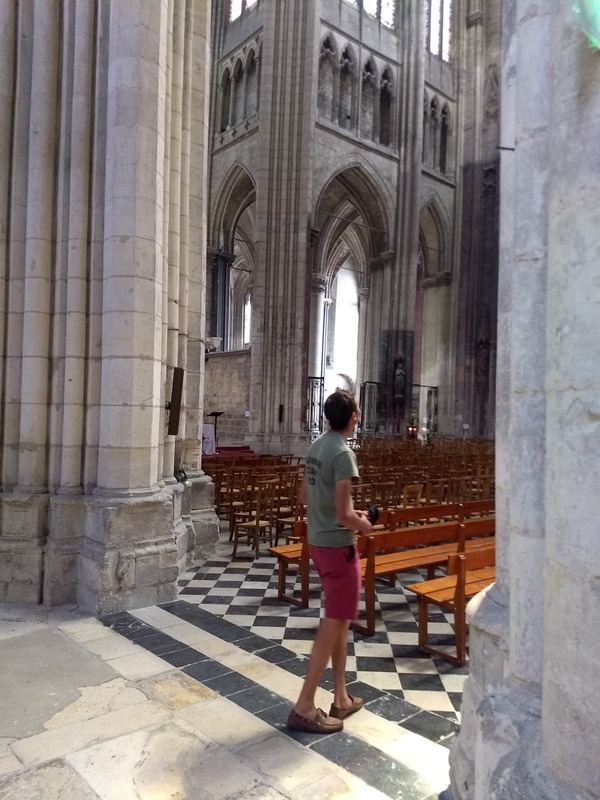 However, the 14th of July is Bastille day (a bank holiday) in France so our vehicle could not be repaired, and no alternatives could be sought. Unperturbed the OCdts explored the bastille day festivities and were able to witness some traditional jousting and medieval entertainment. The following day was Sunday the 15th and being Sunday, no garages or rental agencies were open, so we were still stranded. 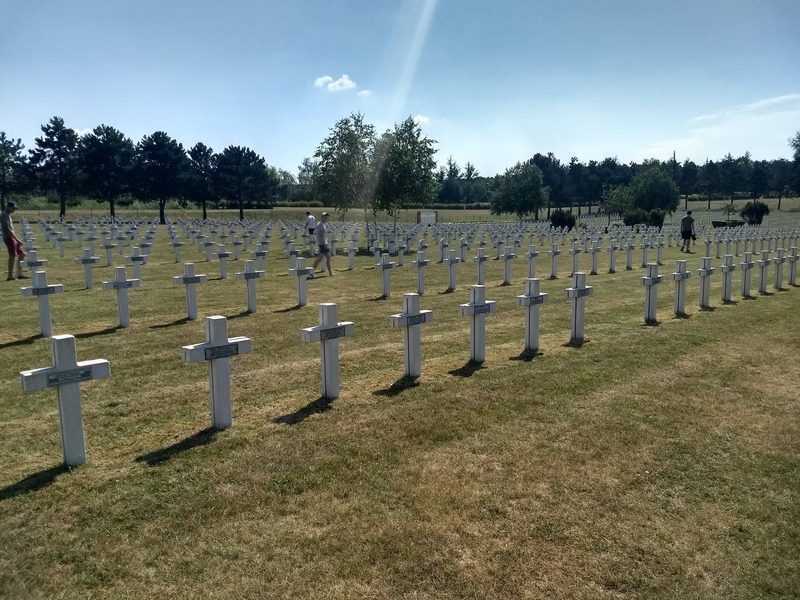 Rather than sit in the temporary accommodation we toured the town and visited the Saint Quentin WW2 graves, memorial and later the Basilica. 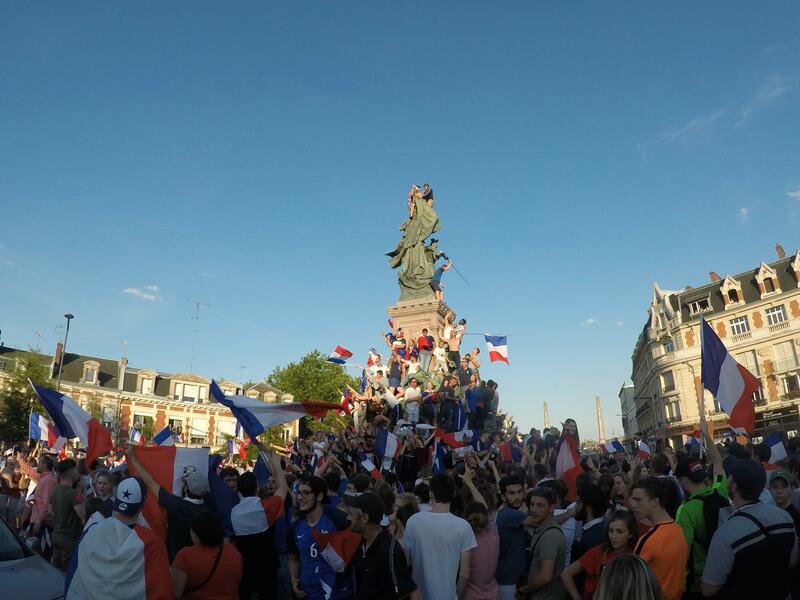 In the evening the world cup final was played and France won, leading to much festivities in the town. 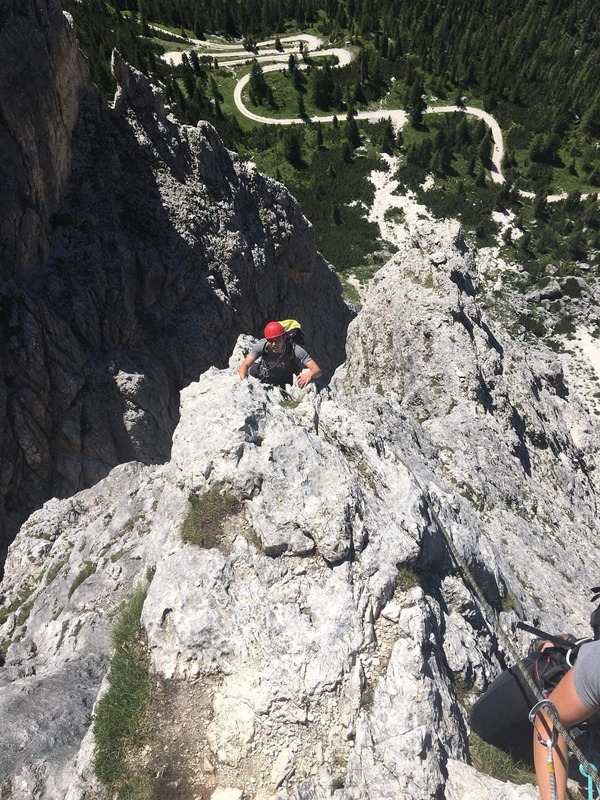 Though entertaining to watch our minds were in the Dolomites so after a good nights sleep Monday arrived and we could continue our journey. 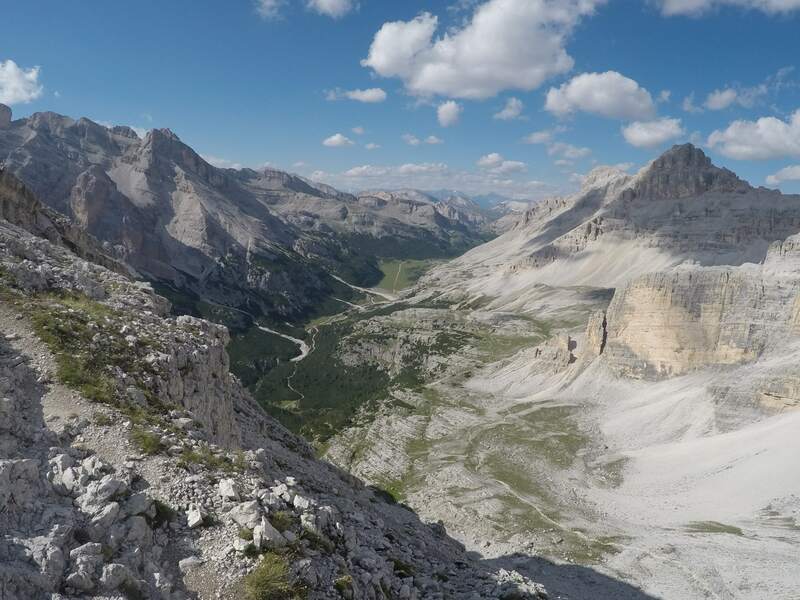 Two rental vehicles were sourced from Europcar (as our van was still in a bad way) and we headed on to Cortina. On arriving the group was split into pairs, each partnered with one of our very experienced instructors. 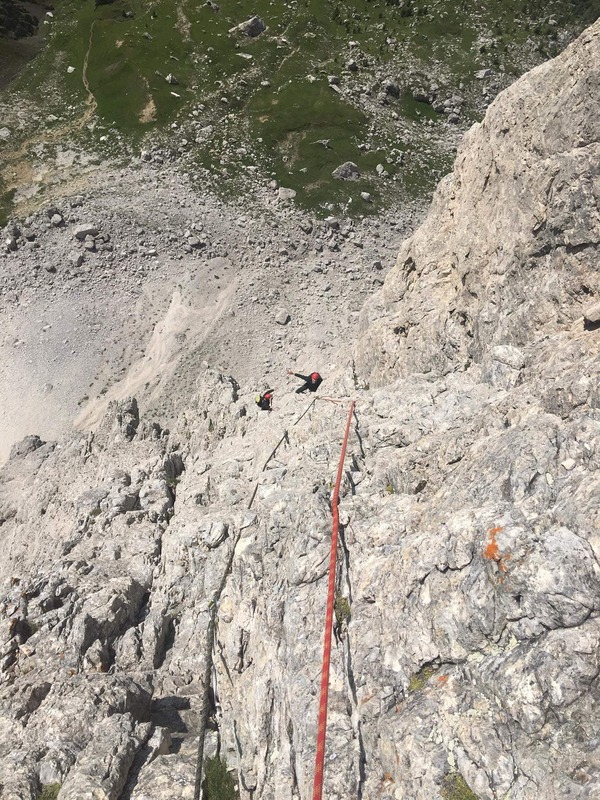 A quick revise of climbing knots, techniques and equipment and we were ready for the mountains. 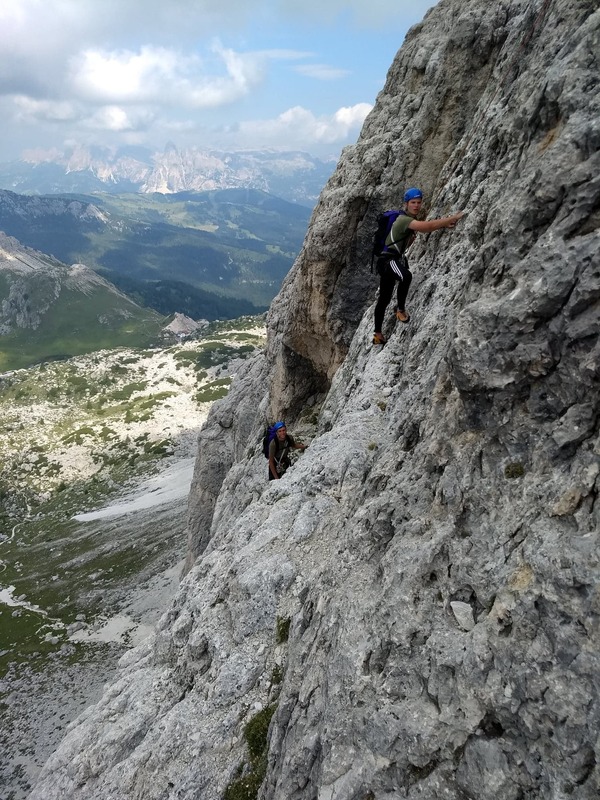 Our first climb was up the epic Spigolo Alpini and though being thrown into the deep end, all performed well and confidence doing multipitch routes grew. Over the next few days a great deal of climbing was done, making it well worth the wait. 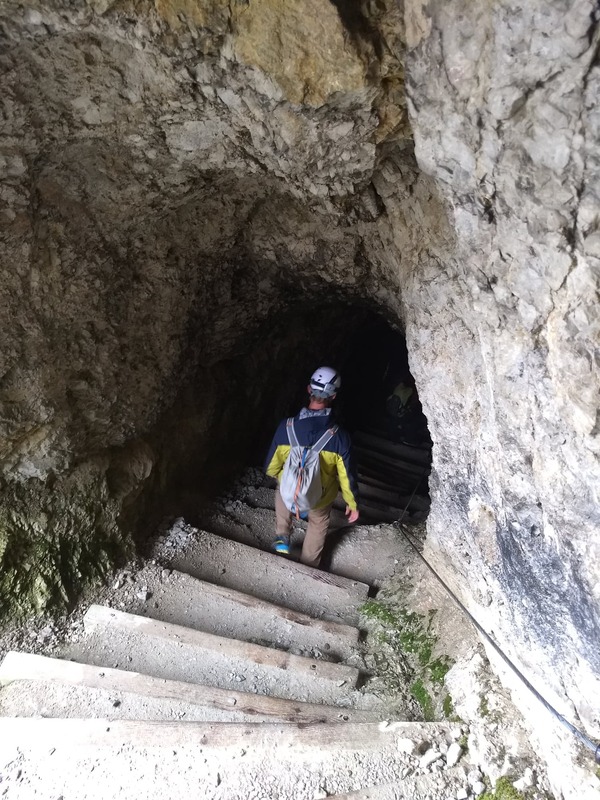 We were also able to explore the expansive WW1 Lagazuoi tunnels that were dug by the Italians, as they tried to expel the Austro-Hungarians from the area. 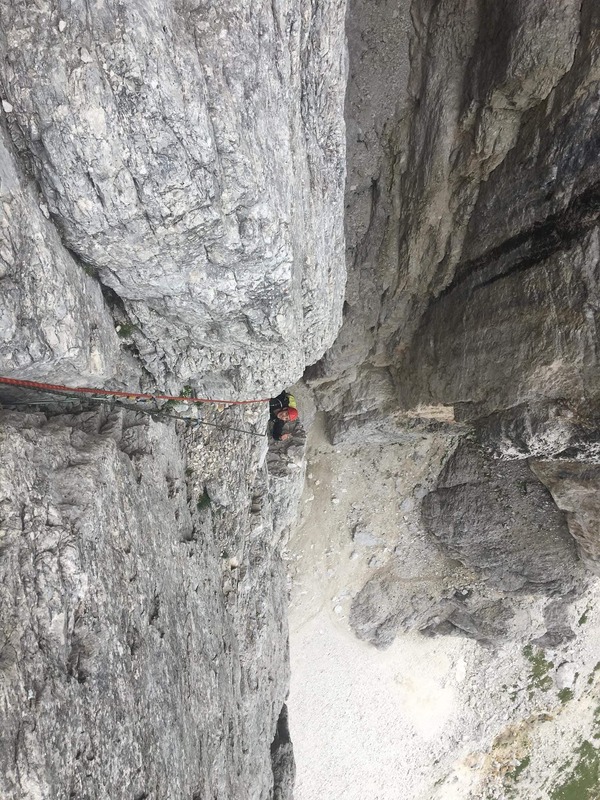 On our final day the weather was poor so it was spent in the indoor climbing wall in Cortina practicing technique and footwork. After a great week the Phase one OCdts travelled to Venice airport to fly back to the UK as phase two arrived. 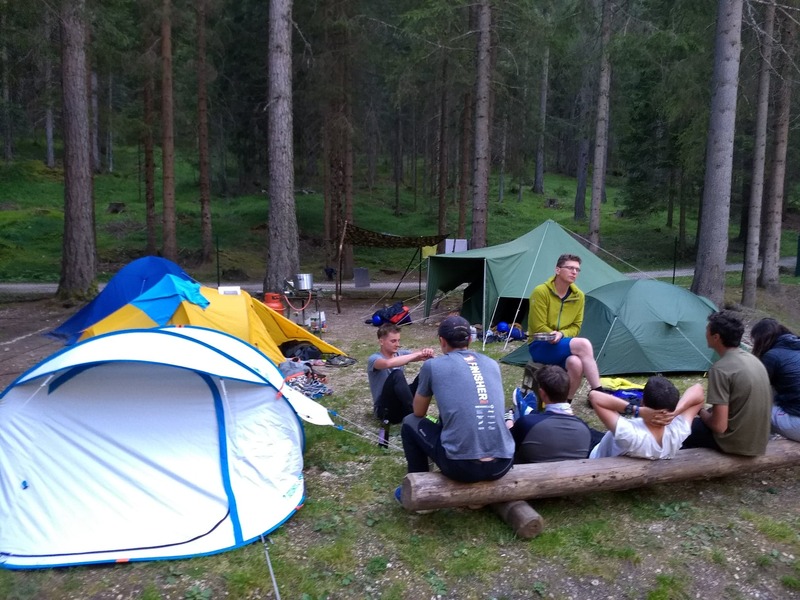 That evening phase two took over the campsite, prepared kit and underwent the same refresher training to ensure all were ready to take on the mountains. 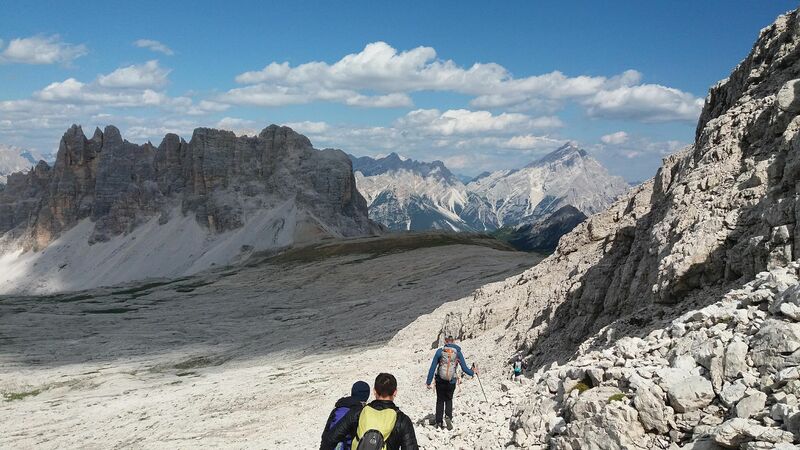 The following day the climbing began and the OCdts did some challenging routes near the Falzegro Pass. 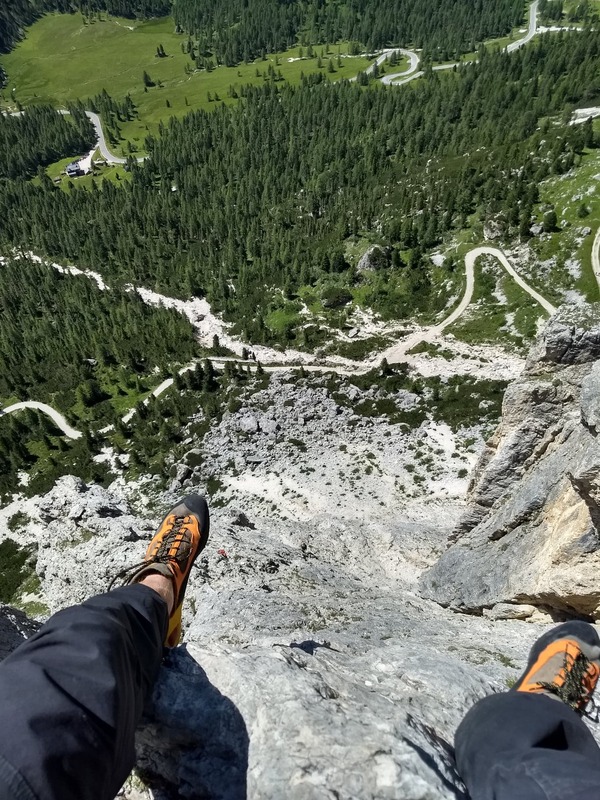 As their confidence increased they prepared for a two-day expedition, beginning at Misurina and spending the night in the mountain refuge Rifugio Citta ‘Di Carpi. This was a new experience for all of the OCdts and great weather and beautiful views were enjoyed by all. 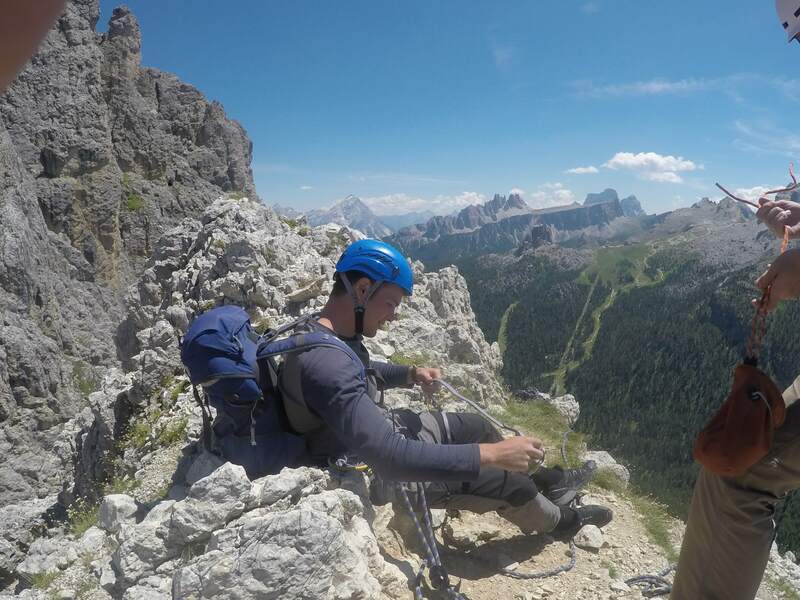 The final day of climbing took place at the famous Cinque Torri and the OCdts planned and climbed their own routes. 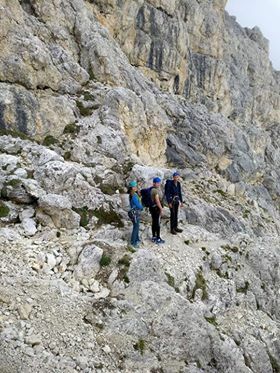 This was a first for all, and everyone learnt a lot about what to look for when planning a route, how to find the start points and even some lessons on gear placement. 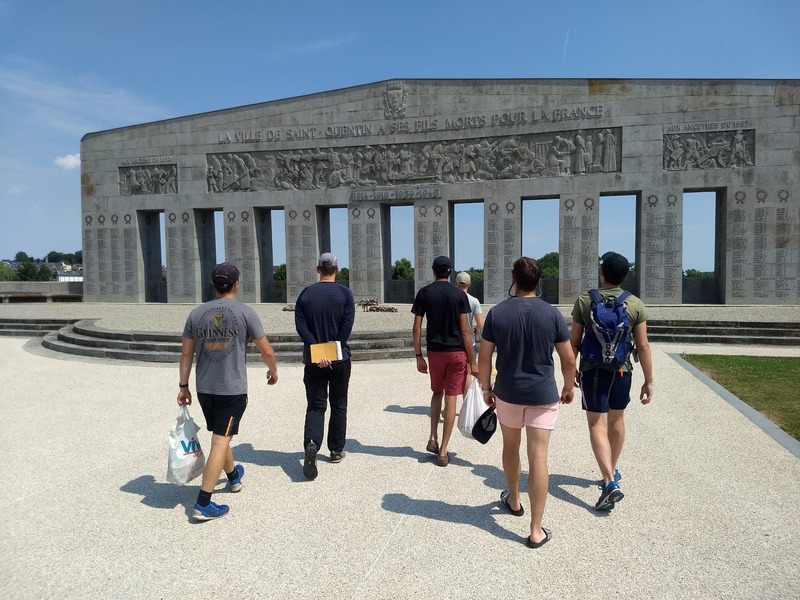 After a hard day climbing, the open air WW1 museum on the mountain was explored. Finally, the camp was packed up and the expedition headed for home, stopping in Saint Quentin to exchange the hire cars for a now repaired van. 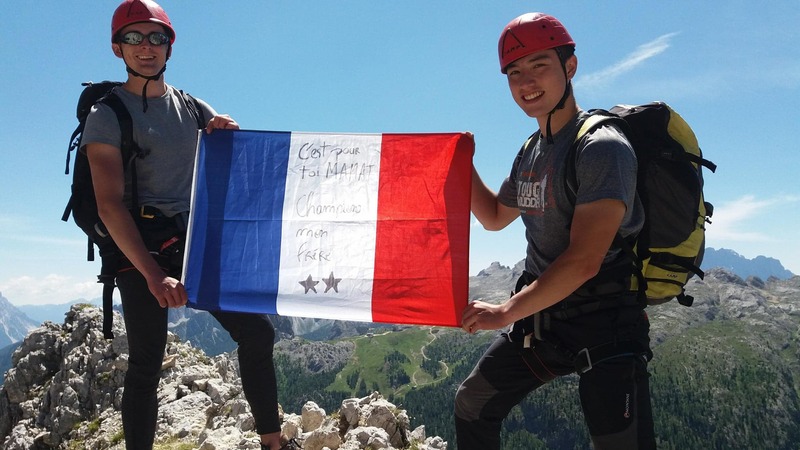 Two OCdts in phase two who did not have the Rock Climbing Foundation qualification achieved it, and all OCdts achieved competent second. The expedition was hugely valuable to all involved and certainly met the aims of adventurous training. 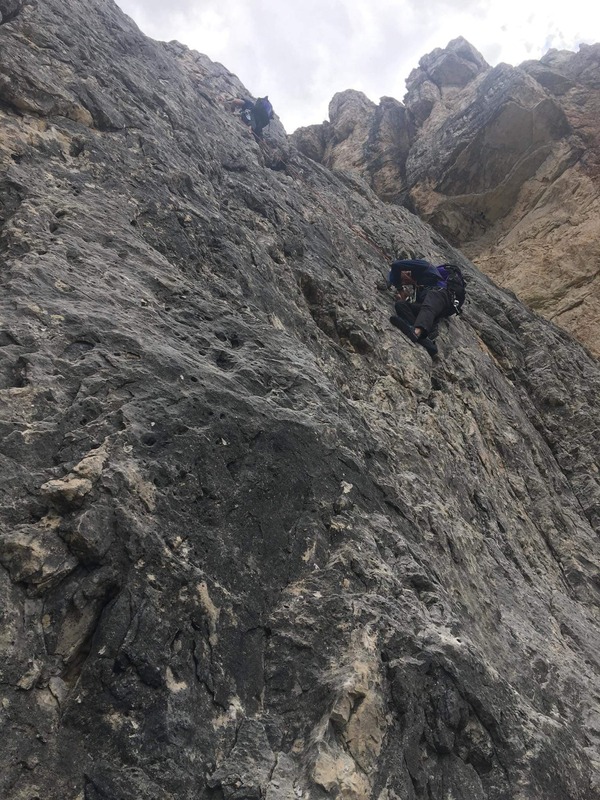 All OCdts were pushed well out of there comfort zones and general feedback was that the prolonged exposure to high altitude taught all the importance of keeping a level head and performing tasks under pressure. All OCdts and instructors are very thankful to the Ulysses trust for making this expedition possible.